American Diabetes Association? Alert Day? 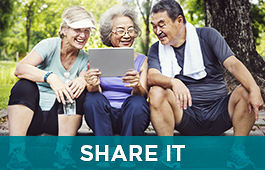 Held the fourth Tuesday of March each year, American Diabetes Association Alert Day is a day to sound the alarm about the prevalence of type 2 diabetes by asking everyone to take the Type 2 Diabetes Risk Test. The free, anonymous risk test only takes a minute to complete. 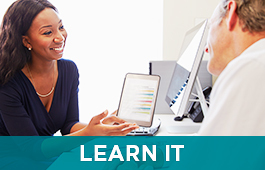 By answering questions such as “Do you have a family history of diabetes?” and “Are you physically active?” you can learn if you’re at risk for type 2 diabetes in 60 seconds. 9 out of 10 Americans most at risk for type 2 diabetes don’t know it. Take 60 seconds to find out if you’re one of them. Knowing your risk is the first step toward a healthier life. If you're at risk for type 2 diabetes, speak with your health care team and use these tips to lower your risk. 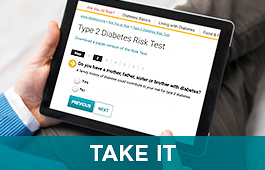 Download Alert Day materials and help us encourage America to take the Type 2 Diabetes Risk Test. American Diabetes Association Alert Day is sponsored nationally by Quest Diagnostics Health & Wellness and CVS Pharmacy.